The title might sound like a hit Hollywood film, barring the ‘Stoke’ part, but the story of Ashley Williams’ time at Everton is anything but a fairytale set in sunny climbs. The scepticism that surrounds most Everton signings these days is tedious and somewhat unnecessary. How can a player be judged before even kicking a ball for his new club? I’m not one to voice my concerns over a signing before he has had the opportunity to play a run of games for our teams. However, Ronald Koeman signing a 31-year-old Ashley Williams for £12.6mil, never really had me convinced. A lot of fans pass comments on players based on watching him on and off for a period of games, which is fair enough because their opinion could well be accurate enough having watched a handful of performances. But, with Ashley Williams I spent a period of about 3 season watching him at Stockport county as part of a hospitality package my then employers had at the club. League 2 and even League 1 are worlds apart from the Premier League, granted, however Williams did stand out. A younger, more agile model with more pace than most centre backs, Ashley Williams had created a standard in League 2 unheard of before. Although there were clear signs that Williams had the ability to make moves up the football league, it wasn’t immediate and it did take him until his 2nd or 3rd year at Stockport to really set his stall out. It helped that Stockport were about to embark on their most successful campaign in recent years, with promotion to league 1 around the corner. Swansea came calling for Williams in March 07/08, loaning the centre back until then end of that season. His return to Stockport didn’t last long with Swansea making Williams’ move permanent 2 months later for a fee of £450,000. It was a move the was definitely deserved and Swansea had gained promotion to the Championship under Roberto Martinez in the same season. Ashley Williams found his home at Swansea and as a Welsh international, fitted in comfortably with his working environment. Over the next few years Swansea began to rely on Williams more and more for his ability to run their defence and guide the rest of the team around the pitch. Becoming club captain within 2 years of him being at the club is a nod to his leadership qualities at the time. Swansea and their fans loved Williams, it was the right marriage and suited both down to a tee. The level and expectations Swansea had and were asking for were perfect for a confidence player such as Williams, when it’s right Williams is on it. 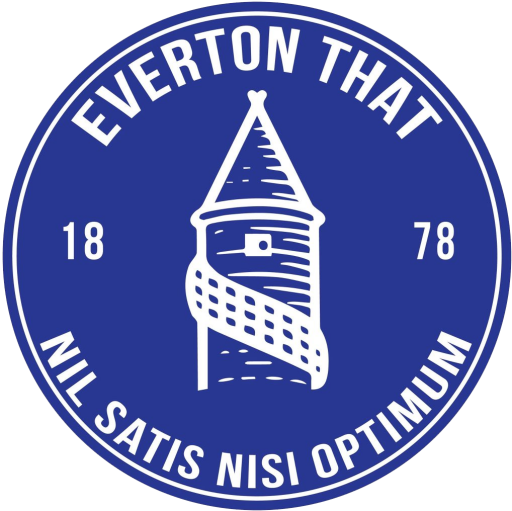 A move to Everton should never have occurred though in my eyes. Everton offered too much money to the point Swansea couldn’t refuse, yet Swansea still found it hard to let go of their club captain. Both clubs made big mistakes on that front. Ashley Williams, like other players would saw a Swansea city struggling season after season or an Everton with so much potential to be better, newly backed with cash, potentially moving to a new stadium and one last big move from Williams’ point of view as well. It’s hard to say no. But, it doesn’t mean someone somewhere along the line shouldn’t have said ‘no’, because it wasn’t ever likely to work and a lot of fans knew it. Technical ability and pace had left Williams a season or so previous to his move to Goodison park. Swansea had started to notice the effect it was having on their side with strikers seemingly discovering that pressure and pace around the centre back would cause mass panic. Of course at Swansea it wasn’t to the same degree at Everton, but the signs were there that maybe Williams was ready for a step down to the Championship rather than a step up to Everton. Ronald Koeman’s transfer dealings, aided or not so by Steve Walsh, are starting to show their true wares, Williams being a sheer panic buy as time ran out in the transfer window after a long pursuit for his former Swansea team mate Gylfi Sigurdsson. The intensity a defender faced in Koeman’s Everton side would be intimidating for most defenders and it certainly caught Williams out. His lack of composure, calmness under pressure and ability to deal with the pressure were almost immediate alarm bells in his Early days at Goodison. As time has gone on it’s become dramatically worse and has cost the team time and time again, may not forgetting examples of bottless defending at Burnley away last season. It’s examples such as Burnley away that have gained him no friends at Everton, getting sent off for a pathetic over reaction to a player grabbing him from the oppositions corner, as club captain as well. Never in a million years should Ashley Williams have been awarded the armband to captain our team. It is something only a few players are cut out for and not something that should be readily thrown around to anyone. He lacks the temperament, the bottle, the mental capacity to be a captain at Everton football club and those lack of traits came out horrifically against the likes of Lyon at home and indeed Burnley away. It hasn’t worked for Williams, unfortunately it was never going to work and the best he should of been offered at Everton was a back up role to Phil Jagielka, Funes Mori and Michael Keane. Will a move to Stoke City on loan work? Well, I suppose that depends on how much Williams wants to prove a point, but the pressure in the Championship will be far less with Stoke expected to be up there at the end of the season. Richarlison signing could spell the end for two players. Transfer update – Mina, Rojo & Bernard in, Bolasie out.